English / French Language Translation Services in Ottawa and surrounding area. 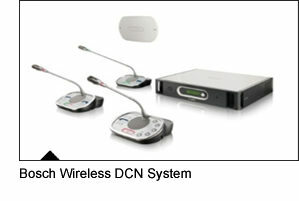 ELC is Ottawa's leader in simultaneous interpretation technology. Whether you're planning a large convention or a small office meeting, ELC is ready to help you get your message across. We use the latest technology to make your meeting a success. This includes the Bosch Wireless DCN system that allows us to achieve a clean, cable free environment for your participants. A wireless setup means better aesthetics and a safer space in which to work. We also employ a friendly and knowledgeable team of technicians that know how to get the most out of these advanced systems. 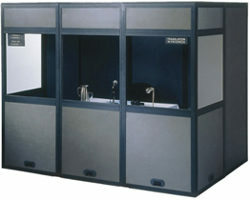 Our sound proof booths provide isolation for the interpreters to work in. They are completely modular which allows for quick setup and tear down in any location. All languages are transmitted to the participants via wireless technology. Each participant gets their own wireless receiver and can "tune in" to their language of choice. Translation usually refers to the written word. When someone has a document in one language that needs to be re-written in another language, it is called translation. Interpretation is the term used for the spoken word, usually occurring in real time. ELC works closely with the talented Interpreters in the National Capital Region and across Canada. Interpreters count on us to provide them with the resources they need to do their job properly. English and French translation / interpretation is what most of our clients are looking for, but we often work with Spanish, Inuktitut, Cantonese, German and many more. We are happy to work with you and arrange your meeting needs for any language We make it easy and affordable to interpret between 2, 3, or any number languages at once. Only 37.2 percent of Ottawa residents are fluently bilingual in French and English, this number is much lower outside of the Ottawa area. Almost two thirds of the population can greatly benefit from Simultaneous Interpretation services. Copyright © 2016 www.elcottawa.com - Translation Ottawa - Lighting Equipment.